Well, as I understand it, Dark Matter, is only the amount the equation E=MC squared is off in comparison to what we could measure. So, maybe the equation is wrong, or there is something else. Indeed, there is always’something else’ right? For example if you count the amount of cows in a field and then choose that number out of cows, then there are zero cows and your equation of this finite set is neutral or zero, however there is still grass, insects, and an occasional critter living in a hole, like a gopher, field mouse, hedgehog, mole, etc.. Are they dark matter? If you don’t know what’s there, they are, once you know, you must change the equation or add that difference. 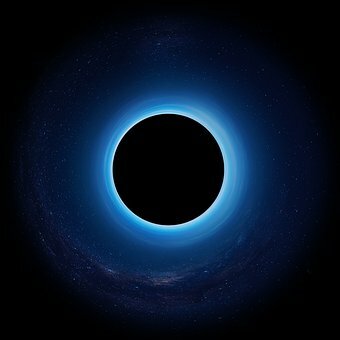 Whatever is there that we now call dark matter – or dark energy depending on the way the equation is finally balanced out, providing it’s correct, it will not be dark once we know. We also know that things can change from matter to energy and/or be in a country in between. If our basic understanding is away, our equation is obviously off. Problem is we do not understand and many suspect components that are missing. Transition particles for instance, new states of matter we do not know about. If our world wraps around itself we might be measuring some stuff twice, thus off. We might also be missing to quantify what we can’t yet observe, or have mislabeled and wrongly measured as other than it is. If photons have a very little mass, but there are so many to light everything up, maybe that’s the missing issue, if light is bent around and around objects, there’s far more of it than we are measuring, how much? If the universe is not expanding, but the light is moving around, it might seem to be expanding when it’s not, then the equation will not match either. I have numerous questions on all this stuff. From what I am reading and all the sub-theories, it’s possible we’ll get to the answer shortly – that is if somebody hasn’t already figured it out but isn’t considered to be a learned physics expert so none of the papers are deemed worthy, if they have written one at all.